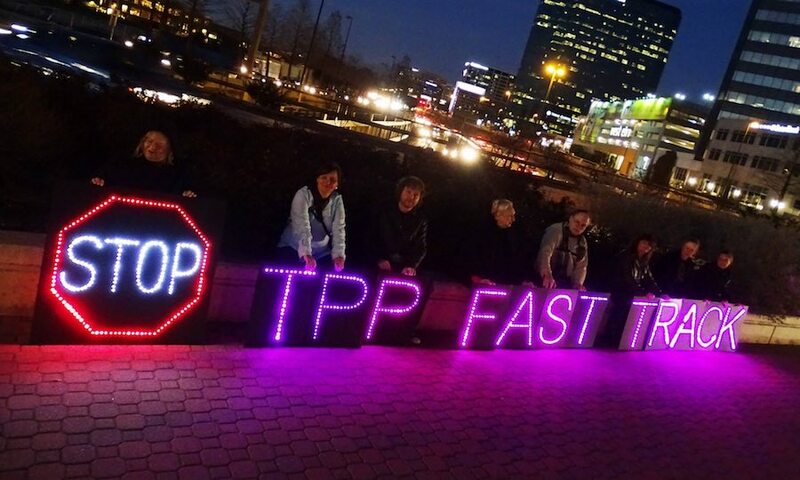 What's Wrong With the Trans-Pacific Partnership? International negotiators released a draft of the TPP agreement in October 2015 and are awaiting approvals from participating governments. However, despite the theoretical advantages of more fluid international trade, the current draft has several complications that could lead to a variety of problems for participating nations and others, meaning its implementation is far from a sure thing at this point. Green leaders criticize the Obama administration and negotiators from other countries for keeping early talks on the formation of the TPP closed to observers and media. Many individuals and public interest groups requested access to the discussions, fearing that the agreement would unfairly favor large corporations. However, those appeals were ignored and the drafted document revealed what many feel was a prioritization of corporate interests over health and environmental concerns. Without any enforceable guarantees for environmental protection, the TPP could actually significantly contribute to global warming through increased exportation of U.S. fossil fuel supplies. Perhaps more troubling is what’s not included in the document, which fails to mention how it will protect from over-harvesting of limited natural resources. Green groups point out that, while the TPP accounts for nearly a third of global fish harvest, there are no provisions to protect against overfishing. The draft also barely mentions enforceable safeguards of endangered species products, such as elephant ivory. Yet another issue critics say is woefully ignored is social justice. With free-trade opening up, even more American jobs would be sent overseas to reduce costs. Economists estimate that five million U.S. jobs could shift oversees under the TPP, resulting in serious pay cuts for American workers. Meanwhile, the richest 10 percent would profit at even higher rates, adding to an already drastic U.S. wealth inequality. Clearly, the current draft of the TPP agreement needs a lot of work before Congress should even consider it. Those opposed to the current version of the TPP can voice their dissatisfaction by signing onto the Stop the Trans-Pacific Partnership petition on MoveOn.org, or by urging your representatives in Congress to vote against it altogether.